I've said it before, and I'll say it again: The only low mile & reasonably priced examples of any cars are always going to be equipped with the most undesirable of engine /transmission /trim /options. 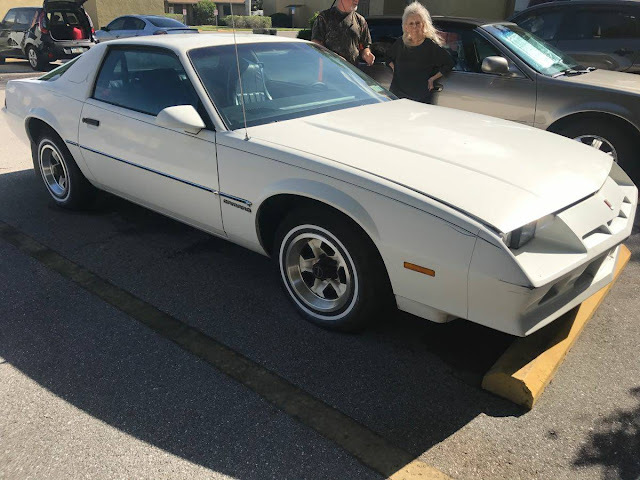 I think if the car had been remotely fun or interesting to drive, the owner would have found some time to cruise around...but not today. . Find this 1984 Chevrolet Camaro Base with 8,000 miles on the odometer offered for $6,500 in Cape Coral, FL via craigslist. Tip from Dascpcu. The third generation F-Body Camaro is one of those cars that hasn't (and might never) achieved collector status, which is strange given its strong following and V8 engines & manual gearboxes. However, today's Camaro has neither and is lowered by a 2.8 liter LC1 V6 (barf!) good for 102 horsepower and 145 ft-lbs of torque. Hang on...it gets worse. The only way to make a miserable GM V6 even more miserable is to mate it to a cantankerous and dumb-shift 3-speed slushbox automatic gearbox. So why are we looking at this car? Because it has only 8080 original miles on the odometer...and that's gotta be worth something to somebody...right? Not re-attaching the rear view mirror may be the only worse sales tactic than "a/c just needs a charge" sellers. This reminds me of those ultra low mileage Fieros that come through Mecum with regularity. Someone wants this car somewhere I am sure. In all honestly a friend had a Firebird of the same era and options. It was reasonably quick as a 15yo kid without a license or car recalls. 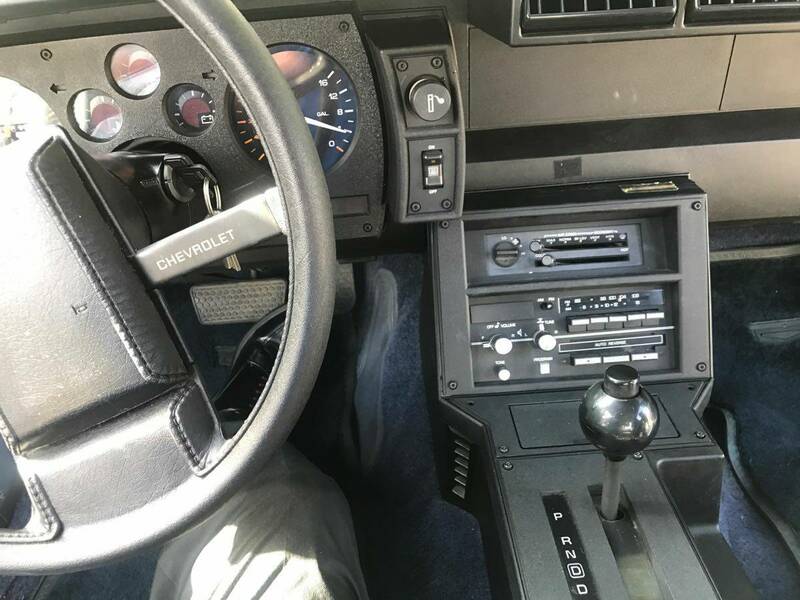 Yeah - that makes you wonder if the seller was ignoring other problems, or just was a firm believe in the first rule of Italian driving from Gumball Rally. I'm not sure which is a worse sign. Shows how ignorant this writer is.While 3rd gens are not in 1st gen territory price wise yet,and maybe not for a while,their prices are already creeping up for the higher end models. 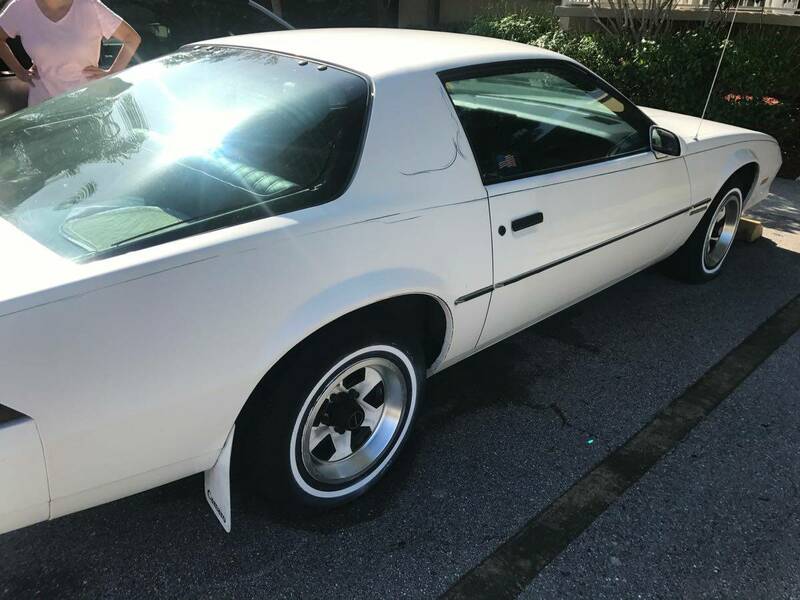 I know nothing about Cameros really, but is this a good candidate for a performance build? You'd pull the old 305 out of a higher spec car anyway for your LS install right? Seems like if they aren't to proud of it, these low spec cars are at least in good shape cosmetically, leaving more time/money for the fun stuff. I have a Buddy who picked one up same motor and 150K more miles he has been chasing lucas gremlins and sometimes car leaves him stranded not sure i could put up with that no matter the price. My BIL had one for a few years that he bought new with that engine. He used to slap his head and say "WOW! I could have had a V-8!" SLOOOOWWWW! 15" wheels on white walls with color matched mud flaps... it had better come with genuine corinthian leather driving gloves too. How does an 8k mileage car have faded out pin striping? Ahh, because it's been sitting outside for decades... with no tint to boot. *deep breath* I can smell the sun eroded interior from here. Couldn't you get the Iron Duke in these?